Parenting An Only Child: Are Siblings a Must for Childhood Happiness? Parenting an only child comes with plenty of perks. Just ask Hope Austin of Mountlake Terrace. She has plenty of time and energy to play with her 3-year-old daughter, Grace; she isn’t drowning in child care expenses; and she knows Grace will enjoy extras, like more money for college. Increasingly, researchers say that she is. Like Austin, many of today’s parents are opting for just one child, and new research is challenging long-held assumptions that siblings are a must for a happy childhood. In fact, some researchers and authors are making a convincing case that children are actually better off without them. “Only-child families are becoming the new traditional family, for a number of reasons,” says social psychologist and author Susan Newman, Ph.D. In her 2011 book, The Case for the Only Child, she writes that many women are having children later in life, and that more and more families are concerned about the cost of raising children. With these demographic and economic trends dovetailing with research that indicates only children aren’t disadvantaged at all — and may have an edge in certain areas — it’s not hard to understand why single-child families are growing at a faster rate than families with more than one child, Newman says. For years, the image of two parents surrounded by two or three rosy-cheeked children has been the embodiment of the American Dream. This dated image is quickly disappearing, says Newman. Until 1967, more than two-thirds of Americans preferred a family of three or more children, but in a 2007 Gallup poll, half of Americans said the ideal family contains one, two or no children. According to government reports, America’s birth rate declined from its 1957 peak of 3.7 children per woman to 1.9 children per woman in 1980. Today, the number of children per family hovers at 1.88, and more than 20 percent of women have only one child. While census data clearly show a trend toward smaller families, the implications of this trend have been unclear until recently. Family size is a complicated topic, and the nearly endless variables involved in sibling relationships and family dynamics make research daunting and complex. But the past decade has seen a burgeoning interest in siblings and only children, with more researchers examining how sibling relationships (or their absence) shape children. Researchers across the globe are jumping on board; in 2005, the Journal of Family Psychology published a special issue devoted to sibling relationships, and the competition to be included was intense. For years, only children have been maligned as selfish, lonely, bossy and maladjusted. A century after iconic psychologist G. Stanley Hall’s famous proclamation that being an only child is “a disease in itself,” many only children and parents of singletons find that only-child stereotypes are still alive and well. Today, Hall’s claim has been refuted by hundreds of studies showing that only children are socially capable and academically adept. One researcher making a strong case for only children is Douglas Downey of Ohio State University. His recent study of 13,500 kids found that any difference in social competence between only children and those with siblings disappears by adolescence: By grade 7, only children were just as popular as their peers with siblings. The study’s authors concluded “there is little risk to growing up without siblings." In another study, Downey found that only children have an academic edge over their peers with siblings. He collected data from 24,599 eighth-graders and found that having more siblings lowers academic success; as family size increases, each child receives less parental attention and fewer educational resources. Downey’s findings prompted him to make a surprising proclamation: Siblings are “good for nothing.” While this strong statement might raise the hackles of many parents (after all, most families have more than one child), it seems clear that a child’s success and popularity doesn’t hinge on having siblings — nor does a happy adulthood. In fact, adult only children, like David and Kim, fare just fine, according to California State University assistant professor Heidi Riggio. She found that adult only children are as socially competent as their peers with siblings: Singletons make friends just as easily and display similar social traits as adults who grew up with siblings. Although Time magazine contributor Jeffrey Kluger extols the benefits of siblings in his new book, The Sibling Effect: What the Bonds Among Brothers and Sisters Reveal About Us, he agrees that only children have advantages over children with siblings. (Kluger himself has three full brothers and a number of half- and step-siblings.) “Only children tend to wind up with a better vocabulary and a more sophisticated sense of humor, simply because they grow up in a house outnumbered by parents,” he says. Beacon Hill mom Lisa Corr is inclined to agree. Her only child, 5-year-old son Quentin, enjoys plenty of singleton perks. (His three teenage half-brothers live with him part time.) “He’ll go to a private school, because we have more resources to devote to him. He gets along well with kids his own age, with teenagers and with adults, because he interacts with so many people of all ages,” she says. If only children are truly better off than those with siblings, where does that leave the nearly 80 percent of families raising more than one child? Experts say that all parents can learn from only-child research and use new thinking to improve relationships in families of all sizes. To be sure, only children enjoy some advantages, and siblings don’t always bring the social and emotional benefits parents assume they will. But Kluger warns against concluding that growing up one way or the other is preferable. In truth, growing up an only child can be advantageous, but so can having siblings. “Both things can be simultaneously true,” he says. For all its chaos and potential for conflict, a home with siblings is a built-in lab where children develop empathy, compassion, and learn how and when to stand up for themselves, says Kluger. 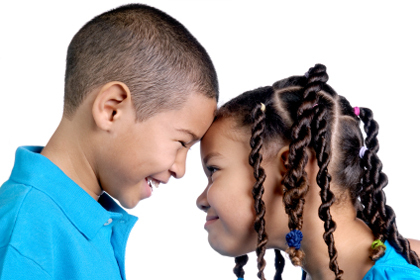 And although sibling conflicts are often fast and furious (researcher Laurie Kramer of the University of Illinois found that conflicts between young siblings spring up 3.5 times an hour), the conflict is a valuable teaching mechanism that helps kids develop critical skills such as social understanding, emotional regulation and problem solving. According to Kirkland-based child and adolescent therapist Kyle Good, Ph.D., M.Ed., parents’ approach to conflict is one key to fostering successful sibling relationships — and the key to social-skill building for only children. Singletons can gain some of the skills children learn from having siblings — including negotiation and joint problem solving — by developing close relationships with friends and cousins. Child care can also serve to boost socialization. “Only children can get a great deal of socialization through day care, because they’ll be interacting closely with the same children for many hours a day,” says Kluger. Regardless of family size, family play is highly beneficial, says Good. Parents shouldn’t assume that only children will always entertain themselves or that siblings will entertain each other; parent-guided interactions that take place during family play help children develop behavioral regulation and emotional understanding. When deciding how many children to have, today’s parents have a lot to ponder, says Newman. In addition to biological factors, such as their age, parents should consider how many children they can handle emotionally, psychologically and practically. While single-child families work for many, there is no ideal family size. Malia Jacobson is a nationally published freelance writer who blogs about parenting and health at thewellrestedfamily.com. She is the oldest of five children, the mom of two and the aunt of a happy only child. 1. Encourage healthy conflict resolution. Don’t shy away from family conflicts. Instead, use them as a springboard for lessons in negotiation, emotional understanding and self-control. 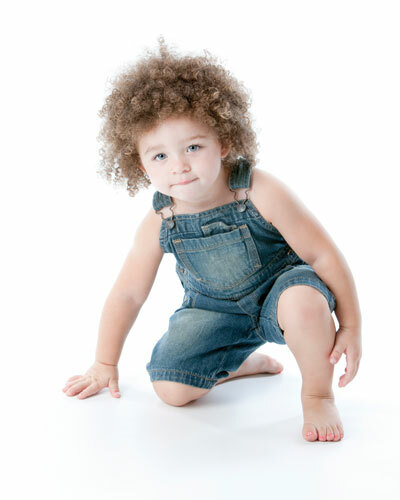 Only children can benefit from observing parents as they resolve minor conflicts. 2. Promote extended-family relationships. Siblings and only children can gain a deeper sense of identity and gain valuable social skills through interactions with extended family members of all ages. 3. Foster academic success. Ensure that children have ample access to parental assistance and appropriate educational resources. In larger families, parents can set aside one-on-one time with each child for reading and homework help, and arrange a computer schedule so that each sibling has needed access to digital learning tools. Source: Kyle Good, Ph.D., M.Ed.